Do you love beautiful gardens? While much of Marrakech, Morocco swelters in the hot summer months, the gardens of Marrakech actually flourish, providing a cool oasis and retreat for visitors hoping to escape the bustling city life. They also provide a stark contrast to the walled city of Marrakech, with their intimate courtyards, lily covered pools and soothing designs. At one time, the city was fondly referred to as the “garden city”. Many of these gardens provided large ponds used for irrigation, as well as a pavilion, which provided a spiritual and leisurely rest spot for Moroccan monarchs. 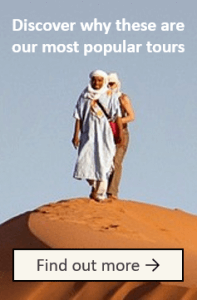 With many of these ancient sites still flourishing, visitors will find a wealth of opportunity in visiting some of the large public gardens, as well as taking in the beauty of the smaller riads. Although appreciated and understood best by true gardeners, visitors need not even know much about gardening to enjoy visiting one of the many varied and exquisitely designed Marrakech garden settings. 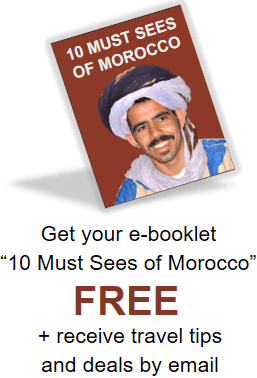 You may want to visit some of these gardens on your tour to Morocco. First built as an orchard in the 12th century, The Agdal Garden is one of the region’s best-known garden settings. Sometimes called the Islamic Versailles, a small portion of the garden is open to tourists on both Sundays and Fridays. It also closes when the King is there. During public hours, though, visitors are allowed to feed the gigantic carp, which swim in the water basin, as well as take in the beautiful surroundings and even picnic in the area. The three-kilometer long garden features a mix of apricot, orange, lemon and olive trees, maintained by a series of underground wells and channels, which bring in water from the High Atlas Mountains. 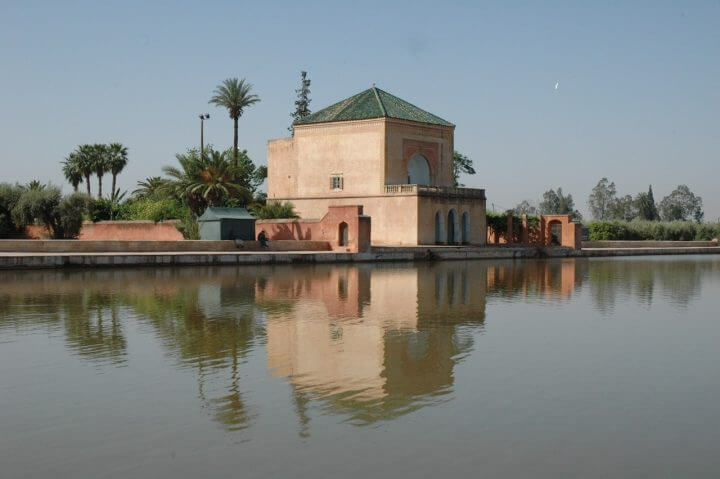 The gardens are located to the south of the Royal Palace in Marrakech, and listed as a UNESCO World Heritage Site. The Majorelle Gardens, in contrast, are much smaller in size than the Agdal Garden. 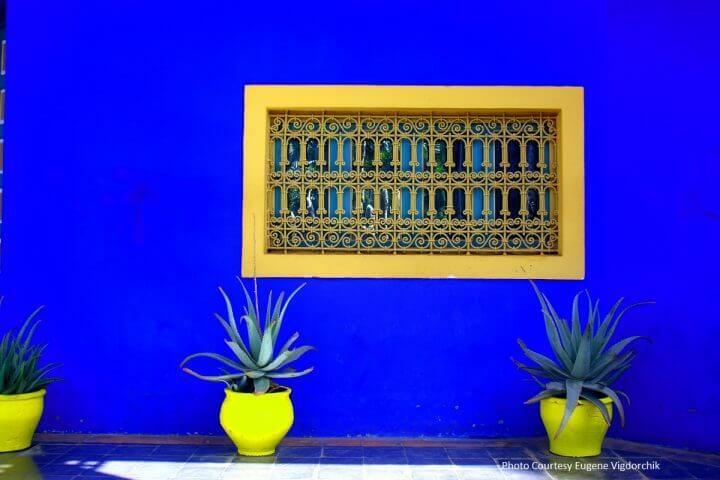 These gardens were named after Jacques Majorelle, a French painter who also designed the area during the 1920’s and 1930’s. The Majorelle Gardens also include ornamental carp, swimming in pools. In addition, the brightly colored gardens feature pink walkways throughout. Once owned and restored by Yves Saint Laurent, the French fashion designer had his ashes spread across the gardens when he died. There is now a pink memorial to him at the site. At 12-acres, the site also is home to the Islamic Art Museum of Marrakech. This small museum features some of Laurent’s most famous artwork. These gardens have been open to the public since the late 1940’s, and stay open much of the year, with the exception of fall. Found near the tallest building in Marrakech, the Koutoubia Gardens flank the Koutobia Mosque. These gardens provide a lovely place for tourists to take a leisurely stroll, and get a closer look at the imposing minaret. The gardens are also the closest that non-Muslims are allowed to witness the mosque or the minaret. While not nearly as large as gardens like the Majorelle, these gardens at Koutoubia do provide a quiet escape for travelers. For a more populated tour, the 12th century Menara Gardens are open to both tourists and locals. These gardens provide beautiful views of the Atlas Mountains, as well as the artificial lake, which is used in irrigating the orchards and gardens. During the summer months, the Menara Gardens are populated with drink stalls. As well, you will commonly find fireworks, as well as dancers and acrobats entertaining guests. Many visitors also use the area to picnic. Tourists are allowed to visit the Saadian Pavilion at the site for a small donation. On the western side of Marrakech is the Jardin Aguedal. Also founded in the 12th century, this location includes fruit trees and olive trees, as well as additional picnic areas. The site began as an orchard, but was later walled off and enlarged during the 19th century. A series of ditches and pools also provides irrigation with water supplied from the nearby Atlas Mountains. These linked gardens feature palm trees and an orange grove. Even local hotels, such as the infamous La Mammounia, feature their own tantalizing garden settings. These royal gardens provide a lovely site for tourists to take a leisurely stroll. It is said even Winston Churchill enjoyed visiting the beautiful surroundings of Marrakech, Morocco. 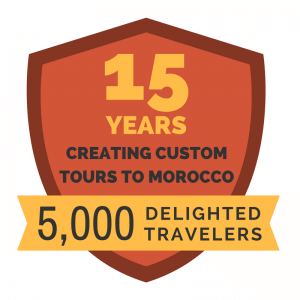 While perhaps not the perfect setting for travelers looking for high adventure, the gardens of Marrakech, Morocco provide a tranquil and exotic destination for others. 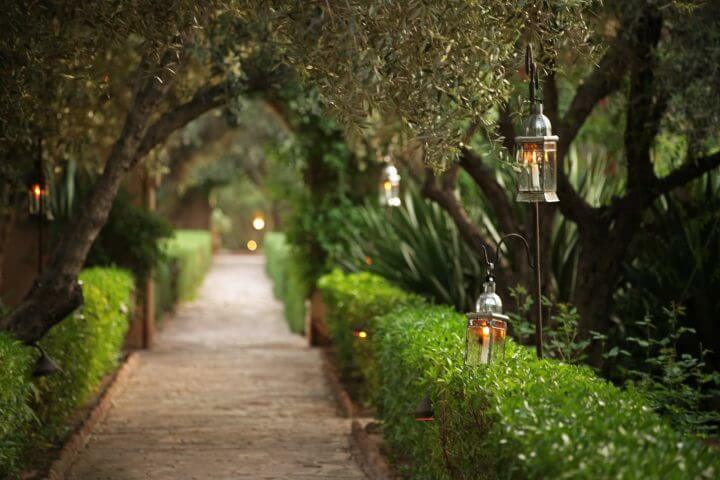 If you are looking to experience a peaceful side to Marrakech, do not miss what these beautiful gardens have to offer. 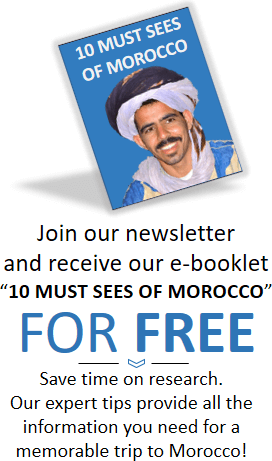 If this post gave you some helpful suggestions, sign up for our mailing list today! You’ll receive our best blogs, travel tips and exclusive discounts.